Thanks to artificial hips, people with irreparable damage to the joint have been able to lead active, pain-free lives for the past 50 years. Still, some hip replacements do not function completely as intended, and metal-on-metal implants in particular, demand accurate positioning in surgery and implants positioned non optimally are often susceptible to premature failure notably in small female patients. Physicians are even calling for a prohibition on the use of artificial joints made of cobalt-chromium alloys in which the joint‘s metal ball rubs against its metal socket whenever the wearer walks. Poorly designed or positioned metal on metal implants can lead to higher wear rates and this releases elevated cobalt-chromium ion levels that spread out through the blood and lymph, potentially damaging organs and triggering inflammation. Metal ions are also suspected carcinogens. Because these hip replacements are so robust, however, to date they have often been implanted in young, active patients. Researchers at the Fraunhofer Institute for Manufacturing Engineering and Automation IPA in Stuttgart, partnering in an international team on an EC-funded project entitled “ENDURE” (Enhanced Durability Resurfacing Endoprosthesis), have now developed a new kind of hip implant that, unlike the conventional counterpart implants on the market today, provide a metal-free solution and bone-like elasticity. This is the result of a metal-free, high-tech composite: The hip socket is made of carbon fibre-reinforced PEEK – a high-strength, wear resistant, biocompatible polymer composite. For the femoral head, ceramic was used. In addition to this, a hydroxylapatite coating at the interface to the bone helps ensure that the bone tissue will fuse thoroughly with the surface structure of the implant. “The cobalt-chromium implants in use to date are very rigid, and the load transfer to the bone is non-optimal leading to potential adverse bone adaptation. Thanks to the new combination of materials, the transmission of force through the PEEK hip socket to the pelvic bone is modeled on natural conditions. And there are no metal ions released,“ notes IPA engineer Jasmin Hipp. The researcher and her team were able to confirm the good wear resistance in initial tests of the new hip replacement using a robot that simulated various series of movements such as walking or climbing and descending stairs. The experiments used a prototype of the implant. The ENDURE implants follow the bone-preserving principle of hip resurfacing: they are thin-walled shells which replace the bearing surface of the joint articulation alone, instead of employing large metal stems for support, which require a substantial volume of bone to be removed. Researchers have also redesigned the way the prosthesis is mechanically attached to the bone. Without cement, and using a press-fit and an integral scaffold-type structure on the surfaces of the implant that contact the bone, the hemispherical ball and socket are tapped onto the prepared femoral head and into the acetabulum – the natural, concave surface of the pelvis – and anchored in place. 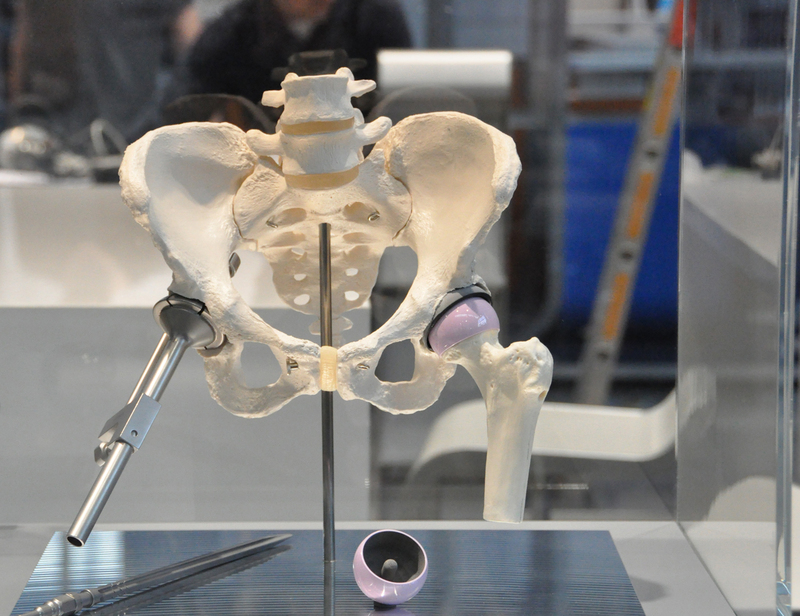 To ensure the best possible positioning of the artificial hip, the researchers at IPA have developed a size-scalable tool that attaches the implant to standard surgical instruments, enabling implantation, re-alignment and removal. 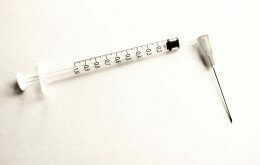 The tool can be discarded after a single use – like a disposable surgical glove. The challenge is to attach instruments to the very thin-walled cup implant, with sufficient strength for implant repositioning. The instrument features a smart collet pin combination allowing strong, quick, single-position attachment and detachment by the surgeon. The scientists have already submitted a patent application for the tool. A team of physicians at the University of Newcastle have demonstrated in operations performed on cadavers, the new hip can be set in place and, if necessary, removed without any difficulties. Meanwhile, the preclinical studies have been completed, and final development work is being planned to allow clinical studies to commence. Partners in the EU-funded project are Aurora Medical, Medicoat, Hunt Developments, Ala Ortho, CeramTec, Invibio, Biomatech and the Universities of Gothenburg and Southampton.